Log in here to access the INSP Hub. This will give you access to the INSP News Service, Guides and Resources, Announcements and the Member Forum. These resources are for staff at INSP member street papers only. If you work for a member street paper and have not yet got a log in, please request access here. Mei-hung is a Big Issue Taiwan vendor on Guohua Street in Tainan. She speaks about her work in a variety of jobs, the illnesses that have stopped her from finding steady work and the kindness of strangers that makes her life easier. 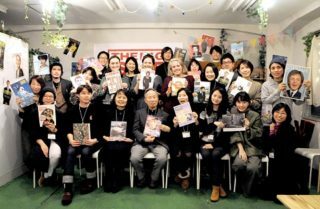 Staff from four Big Issue titles based in Japan, South Korea, Taiwan and Australia got together in Osaka for INSP’s first Asia-Pacific regional meeting, to talk and learn more about the unique problems facing each of them and the innovative projects they are involved in. 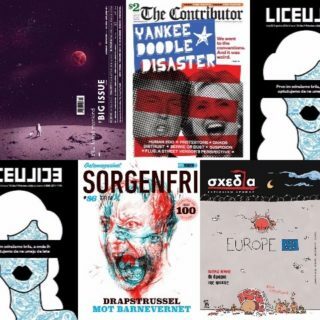 It may be Halloween, but we’ll try not to scare you off with this month’s eclectic round up of street paper covers from around the world. 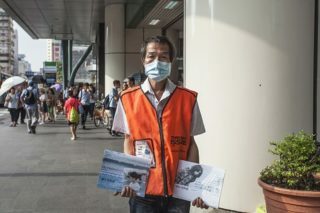 Mr. Huang sells The Big Issue Taiwan from his pitch outside the Qizhang metro station in Taipei. His life changed five years ago when two workplace accidents and a cancer diagnosis transformed his physical health. 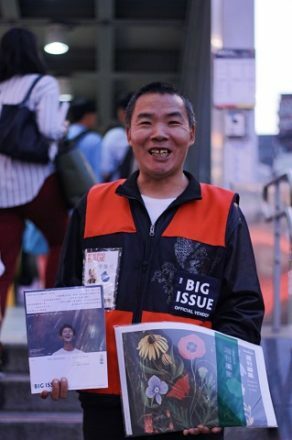 Having made peace with the past, Huang is grateful that being a Big Issue vendor provides him with a steady income and is looking forward to the future with hope. 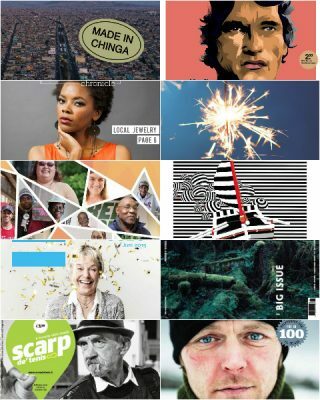 This month saw the 2018 Global Street Paper Summit return to INSP’s home city of Glasgow, and our golden annual opportunity to replenish the street paper archive and get up close and personal with covers from around the world. 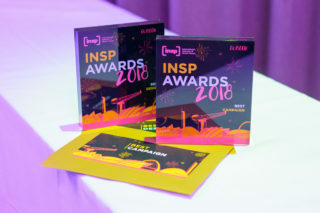 Our picture gallery of the 2018 INSP Awards. Relive the highlights! Last night, at the 2018 INSP Awards, The Big Issue Taiwan was victorious in the Best Design category. 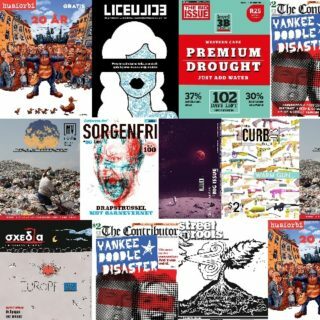 Part of their win can be put down to the work of Aaron (Yung-chen Nieh) who, remarkably, designed 95 out of the last 100 covers of the street paper. 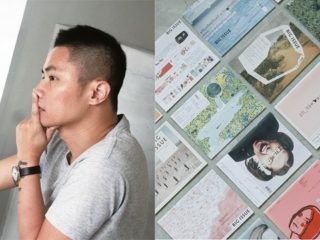 His contemporary and stylish designs have endowed the covers of the magazine with a unique visual style that has not only proved popular with readers, but which has also attracted a great deal of attention from professional designers. 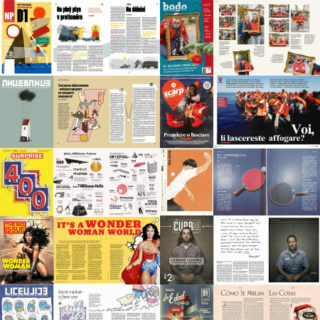 For the magazine’s 100th issue, Aaron shared his insights regarding how to design an effective front cover and talked more about his work with The Big Issue Taiwan. INSP Awards: 2018 Winners Announced! 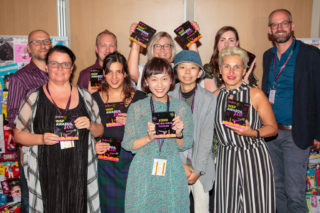 The winners of the 2018 INSP Awards have been revealed at the official Awards Ceremony, as part of the Global Street Paper Summit in Glasgow. We’re rounding off the week by bringing you the Finalists in Best Design for the 2018 INSP Awards. From sixty-three to five – it’s time to reveal the Finalists for our most hotly contested INSP Award this year: Best Cover. 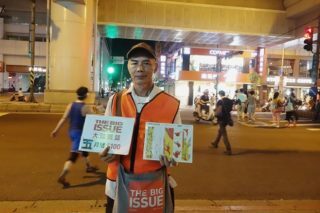 Chen has been selling The Big Issue Taiwan at Xihu Station since the start of this year. Business is up and down, but he is determined to succeed: he chose his pitch at Xihu Station after realising there weren’t any vendors already working there and he has made the spot his own. Here, he looks back on his life and expresses his gratitude to those who have helped him through difficult times. 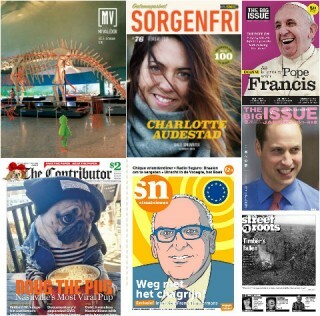 This award acknowledges excellence in street paper design – find out who’s made the Top 10. 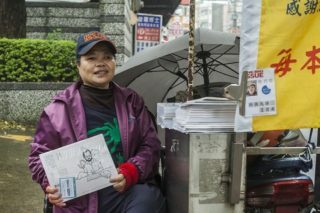 Old lady Zhong, as she is known, has been a Big Issue Taiwan vendor for two years. Here, she tells her life story; from her days spent caring for her paraplegic father to her professional life and motherhood. She also reflects on the support that she has received from various benefactors throughout her life and speaks of her desire to carry out similar acts of kindness for others. For many street paper vendors, getting the opportunity to sell the paper us a lifeline. For Long-Zhu, Li, in Taiwan, this is no different, and his sales figures for the past year are his proudest achievement of 2017. 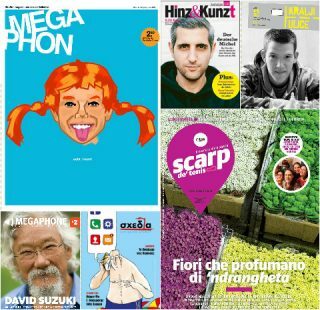 We are delighted to bring you the finalists for the 2017 INSP Awards, starting today with the visual feast that is the Best Cover category. 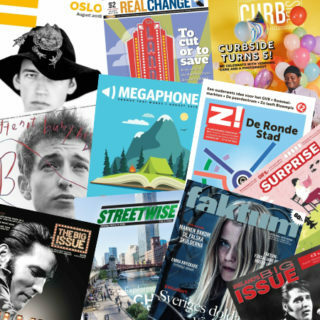 It’s been another brilliant year for street paper covers, and we’re delighted to announce the first set of nominees for this year’s INSP Awards – kicking off with the hotly-contested Best Cover category. 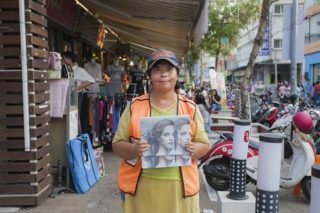 From Melbourne to Denver, Taipei to Athens, vendors across the globe share what it’s like to sell a street paper in their city… and so much more. 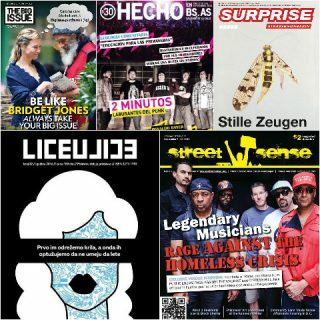 There’s support from big name stars featured on this month’s covers – but also stark reminders of why street papers are so necessary for homeless people. 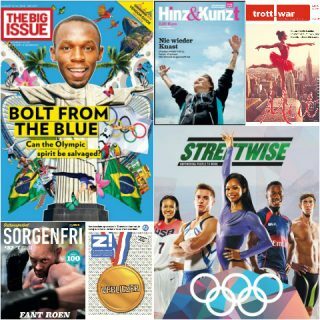 August’s street paper covers have the Olympic spirit, featuring ‘cuddly lawnmowers’, a homeless wedding, Steven Spielberg, and a cheeky little bit of rickrolling. 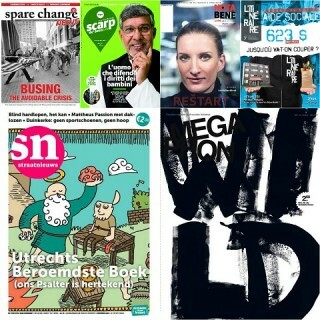 Sizzling summer street paper covers are animal mad! 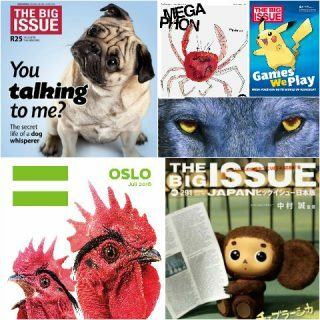 Soak up a summery selection of animal-mad street paper covers with pugs, wolves, chickens, seagulls and crabs – plus Pikachu and the fish star of Finding Dory. A gloriumptious look at the world of Roald Dahl, a red-haired mischief-maker, a mafia flower plot and Yanis Varoufakis at the INSP Summit… explore June’s street paper covers. 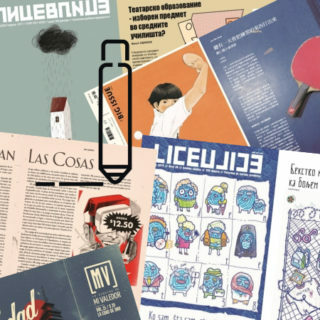 From simple, elegant and minimalist layouts to anarchic and disruptive designs, the competition in this year’s INSP Awards Best Design category is fierce. Discover the stunning street paper designs that made our final five. We’ll reveal the winner next week. The mood in the network feels celebratory this April, with some big anniversaries and some big names. 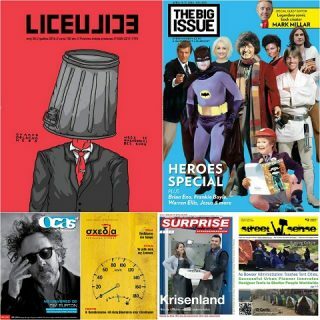 Street paper covers applaud some true heroes – including Luke Skywalker, Korean escapees, and our vendors. 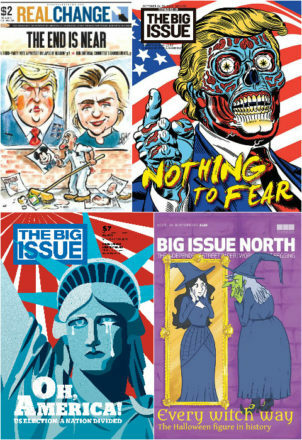 From the political to the cultural – and Beyoncé to Jesus Christ – the range of hard-hitting and beautiful covers nominated for the INSP Awards underscores the creativity in our network. 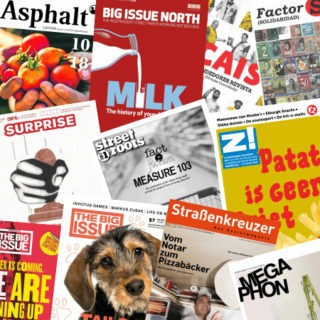 All this week, we reveal the longlisted entries for the editorial categories of the INSP Awards. Today we unveil the top ten in the Best Design category. 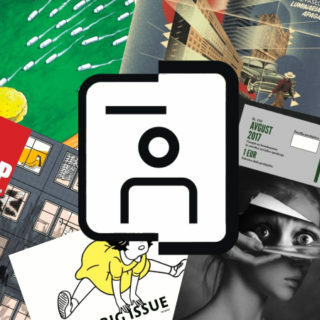 From fierce illustrations to wild covers, experience dozens of the world’s best street paper artwork from the last month. From rock gods to proud vendors, February’s street paper covers featured lots of fascinating and inspiring people. 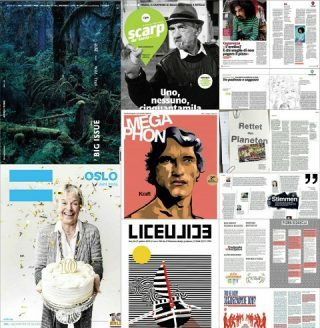 Explore the world’s street papers here. 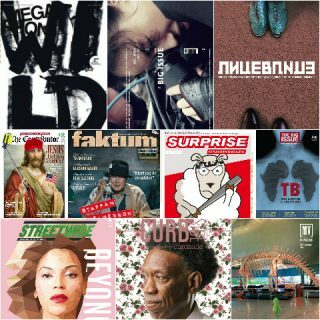 Haruki Murakami, Beyonce and Bowie all graced January editions of street papers. 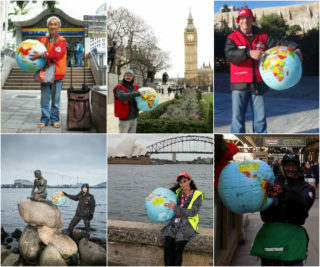 Check out December’s festive street papers! 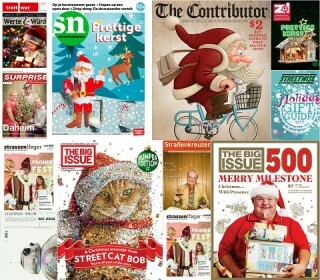 We’ve got Santas galore on this month’s covers! Plus lots of kitties, gingerbread houses, elves, snowmen… and glitter. Continue the countdown to Christmas with #INSPadvent! 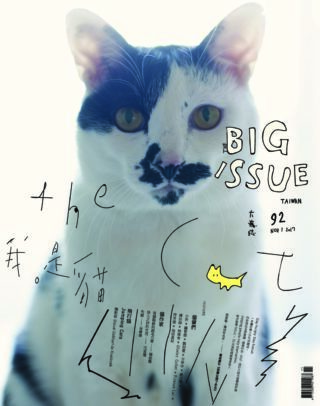 Today, we’re in Taipei with The Big Issue Taiwan. Open the window to read more.